Kay, now that you watched it, it's been a week and I crocheted one of you! 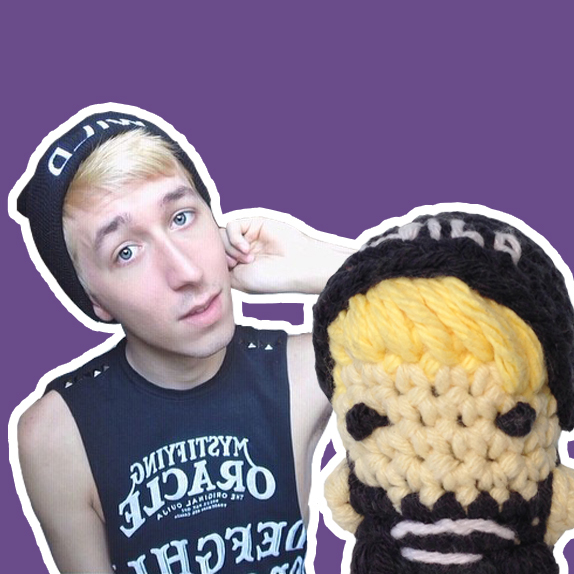 This is @tylerballew who submitted his picture to @louiesloops with the #crochetmelouie! If you want to be crocheted you can do just that and I'll pick another person every other week to crochet! In the meantime subscribe to my YouTube and watch me crochet famous YouTubers and pop-culture characters there! If you want to be crocheted and I didn't pick you, don't worry, you still can be crocheted. I sell custom crocheted amigurumi miniatures and keychains on my Etsy! Check it out here: https://www.etsy.com/listing/181937675/custom-personalized-crocheted-amigurumi?